Ludhiana's Bains brothers, who floated a new political party - the Aawaaz-e-Punjab - along with cricketer-turned-politician Navjot Singh Sidhu, will now join Delhi Chief Minister Arvind Kejriwal-led Aam Aadmi Party. Simarjit Bains told ANI that they are joining the AAP to revive Punjab, which has been destroyed by the Badals and the Congress. "All details pertaining to alliance will be told in a press conference which will be held at the Press Club, Chandigarh. The Congress and SAD have caused a lot of harm to Punjab. Our main issue is to revive Punjab out of drugs and bankruptcy. This time a government of leader will not be formed, but a government of people will be formed," Simarjit told the news agency. Balwinder Singh Bains echoed similar sentiments asserting that they had joined the AAP to tackle the drug menace in the state. 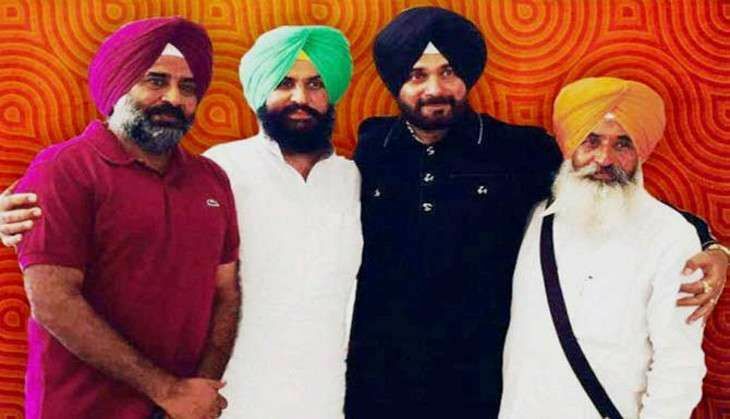 Former Bharatiya Janata Party (BJP) leader Navjot Singh Sidhu, who had recently floated the 'Aawaaz-e-Punjab', had earlier described his party as a forum and not a political party. Meanwhile speculations are rife that Sidhu might join the Congress party. Sidhu had hinted that three months was a very short time for any party to be able to win an election. Simarjit and Balwinder, who have announced their resignation as MLAs during the special session of the Assembly on 16 November in Chandigarh over the river water-sharing issue, are expected to announce their move in a press conference in Chandigarh later this afternoon.